Gerry Balboni has over twenty years of corporate law experience representing growth companies and individuals that buy, sell, and invest in growth businesses. Gerry represents growth companies seeking venture capital investment, venture capital and private equity funds, buyers and sellers of businesses, and licensors and licensees of technology and software. Gerry speaks to groups on topics such as software licensing, acquisition of technology companies, venture capital, and controlling legal costs in corporate finance transactions. Gerry has written the recent developments column for the Technology Law Section of the State Bar of Georgia, and has written articles on topics involving venture capital, mergers and acquisitions, securities, and taxation. Gerry is a member of and an active participant in the Atlanta Venture Forum, the Technology Alliance of Georgia, the Computer Law Association, the committees on the Law of Cyberspace, Small Business, and Negotiated Acquisitions of the Business and Banking Law Section of the American Bar Association, and the Technology Section of the State Bar of Georgia. 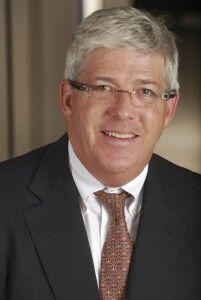 Gerry refounded Balboni Law Group LLC in February of 2003. Prior to refounding Balboni Law Group LLC, Gerry was a partner in the ebusiness and technology group of Baker Donelson Bearman and Caldwell, PC from February 2001 to February 2003, a partner of Balboni Law Group LLC from June 1995 through February 2001, a partner in the corporate technology group of Morris, Manning and Martin from October 1993 until May 1995, an associate in the corporate finance group at Powell, Goldstein, Frazer & Murphy from January 1988 to October 1993, and an associate in the corporate department of Parker, Johnson, Cook & Dunlevie (now the Atlanta office of Womble, Carlyle, Sandridge & Rice) from June 1984 to December 1987. Cumberland School of Law of Samford University in Birmingham, Alabama, 1984, J.D. Graduate School of Business of Stetson University in DeLand, Florida, 1977, M.B.A.